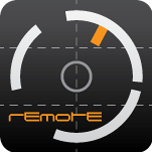 We’re happy to announce that we finally uploaded the Kronos Remote to the app store! Thanks to everyone who contributed to this project (and will in the future) and never lost faith despite the very long time it took to develop the app. 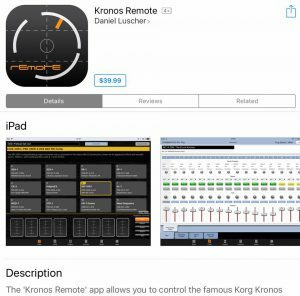 Hallo, super App, endlich ist das hakelige Display des Kronos Geschichte, habe bemerkt das wenn man den Kronos als Audio Schnittstelle (USB) für das iPad nutzt, entsteht beim Umschalten der Modi ( zB Combi > Prog) ein lauter knackser. Die Bedienung des Kronos über das iPad ist einfach der Hammer ?? I added a new page to this website called ‚How to get started‘ which ist just about your question – you need either the iPad camera kit to connect via USB cable (the lightning cable you use for charging doesn’t work) or a Bluetooth dongle on your Kronos to connect via Bluetooth. Since Bluetooth is limited regarding synchronization (see FAQ) I’d recommend at least the camera kit.